More often than not, we fail to notice the significance of office furniture until we’re made to work on a low table that keeps us leaning forward for 8-9 hours a day, 5 days a week, and so on. Merely thinking about it may make your back ache without actually feeling it. This is only one of the consequences of not investing in the right furniture, which is an important factor in office ergonomics. Ergonomics, or the discipline that concerns a person’s interaction with the elements around him, is not a new science. It’s the successful outcome of Fredrick Winslow Taylor’s effort in the 19th century to improve the productivity of a worker. In modern times, ergonomics is a movement that has improved the environments and methods in many workplaces around the world. In this context, ergonomics is the relationship between the work, the worker, and the workspace and their relationship to business productivity. As the goal of ergonomics is to make sure you’re doing your job in the right place and with the right tools, it should be wise to say that it improves productivity in the long run. An office with ergonomic design will prevent employees from suffering headaches, neck pains, back pains, and other types of strains. Furthermore, it acts as a silent constraint on injuries brought about by falls, routine movements, inappropriate posture when sitting or standing, and working with different types of tools. Compliance with ergonomic standards may vary from industry to industry. But in general, there should be three elements present: furniture, lighting, and workplace design. When it comes to furniture, the manager should assess the interaction of their employees to their devices. Moreover, they should delve into the type of their tasks, and their movements. For instance, an accountant who sits all day long and works using a computer should have a chair with appropriate lumbar support and adjustable seat height. There should be a considerable distance between him and the computer. The table should be large enough to accommodate two types of work: usual work and occasional work. Lighting, on the other hand, should not only follow the specifications of the interior design. It should be functional. There should be a combination of natural lighting, desktop lighting, and direct lighting. 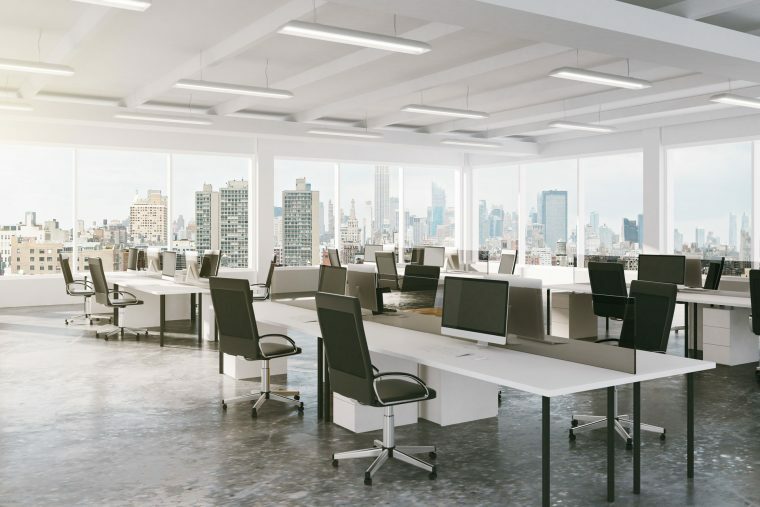 When it comes to space design, the office manager should decide whether the space will be enclosed or open. This, however, is dependent on the nature of work. For creative workers like advertising people, writers, and graphic artists, an open and communal space will be ideal. Otherwise, one should go for partitions if the nature of work requires minimal distraction and grave concentration. These are only some of the things you need to know about ergonomics. When planning your office, make sure you don’t only consult an engineer or an interior designer. You have to work with a company that offers ergonomics-appropriate furniture and supplies. Call us or browse through our website for items that will make your office more productive.